Transitional Justice is a set of policies and strategies aimed at offering a wide-range of tools to countries and societies undergoing political unrest, widespread violence and conflict, with the aim to bridge the gaps between local communities, provide accountability for past crimes and, foremost, recognise the rights of all victims as citizens and human beings. Transitional justice mechanisms can set the path for developing a renewed social compact to address past human rights abuses, mass atrocities in order to facilitate a transition into a more democratic or peaceful future. Although many Syrian civil society groups have worked, during the last eight years, both on issues related to Transitional Justice and constitutional reform, they have done so mostly in a disjoined way; additional support is still useful to facilitate their developing and engaging in sustained work on the elaboration and the support of a comprehensive and holistic transitional justice process, that includes and is informed by the constitution and constitutional principles. 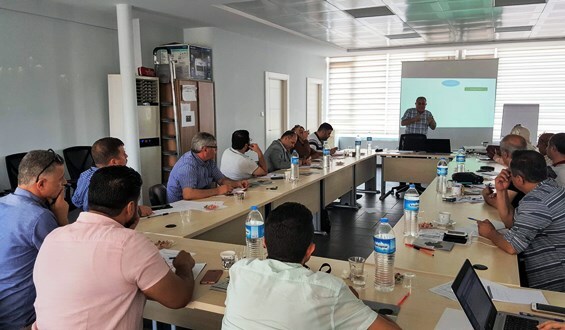 Against this backdrop and in the framework of its Syria Program, No Peace Without Justice (NPWJ) organised a workshop on “A holistic approach to Transitional Justice and constitutional reform”, which took place in Gaziantep, Turkey, on 14 and 15 July 2018. The purpose of the training was to engage Syrian organisations and civil society activists on a holistic approach to Transitional Justice and the constitution; increase the technical and political awareness of Syrians on issues related to Transitional Justice processes and constitutional reform; and foster a discussion among Syrian civil society actors to foster coordinate initiatives and activities to promote Transitional Justice and constitutional reform, thereby developing a renewed social compact to bring together local communities.